If you follow me on Insta or Twitter, you’ll have seen millions of pictures of my Dubai trip back in March. Unfortunately I’ve been so super busy since I got back (and I’ve even been on another holiday since then!) that I haven’t really gotten around to uploading any of my travel diary posts! I’m currently on the countdown to Ibiza – just over two weeks to go! 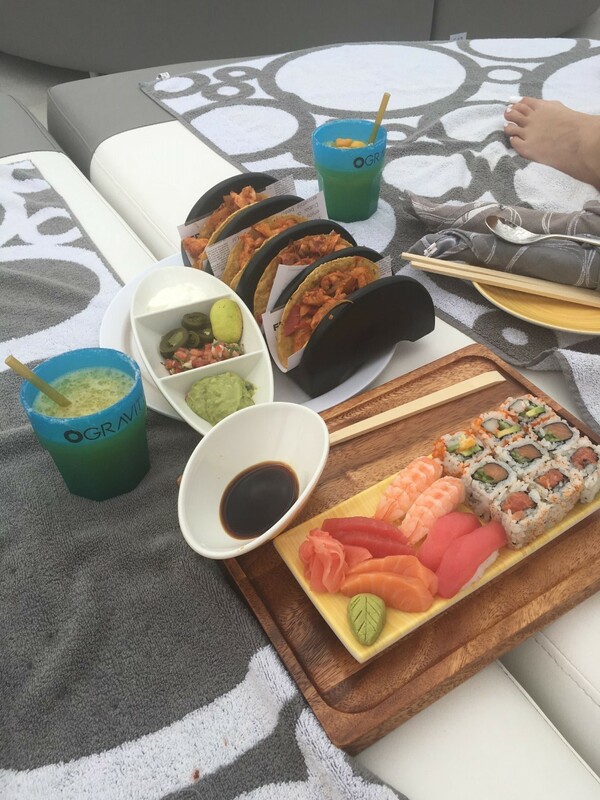 – so I’m in a proper holiday mood and thought I’d share some pics from my day at Zero Gravity Beach Club in Dubai. We visited Zero Gravity Beach Club on a Tuesday which is ladies night in Dubai. Zero Gravity do a ladies day where it’s free for ladies to get in. Beds are on a first come first serve basis so you have to make sure you get there early if you want a white round bed (who wouldn’t?!). Towels are included of course! We went on a day which was a little cloudy (read: overcast all day) so it was a bit quieter than usual. There’s a glass fronted infinity pool, a private beach, waiter service and what will be a killer view once the big wheel has been built. The pool makes for a great Instagram opportunity and I’ve seen loads of people since posting pics of them in it behind the glass but unfortunately I won’t go in the pool unless it’s super hot out (although I still managed to get sunburned on this day! Drinks are notoriously quite expensive in Dubai but there were a couple of cocktails on offer for really cheap, so it would have been rude not to indulge in one…or several! There were two options on offer – mango margarita or raspberry daiquiri and it was pot luck which drinks the waiters brought over but who cares?! You’re on holiday right?! Plus, all that sunbathing and relaxing is thirsty work. We opted for a sushi and sashimi platter plus mini chicken tacos which were both sharer options. There was actually loads of food and probably one dish would have done us but hey, a girl’s gotta eat! Both were super delicious. We had an awesome chilled out day – music was great, setting was lovely and the refreshments were delicious! 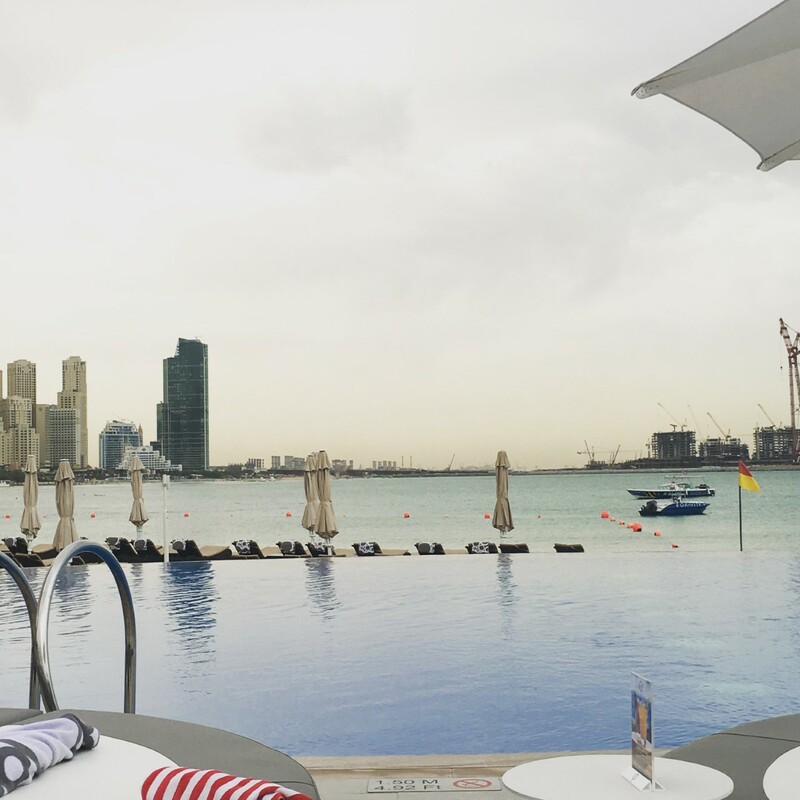 Find out more about Zero Gravity Beach Club in Dubai here.